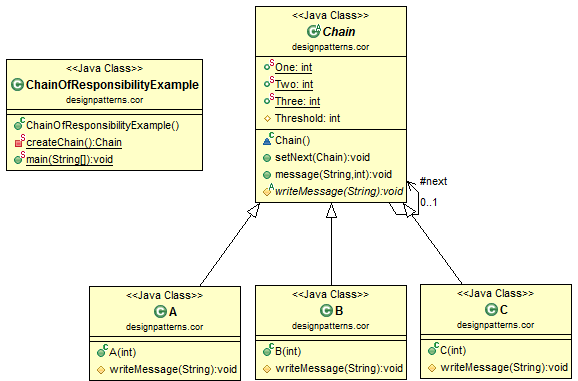 The main idea of Chain of Responsibility design pattern is to build a chain of processing unit, each unit handle the request if threshold is satisfied. Since a chain is built, if one unit is not satisfied, it's next unit will be tested, and so on. Each request will be process along the chain. In this example, level 1 goes through all units in the chain. I’d refactor Chain class to ChainLink, as it seems logical to have a chain made from links, not from chains.